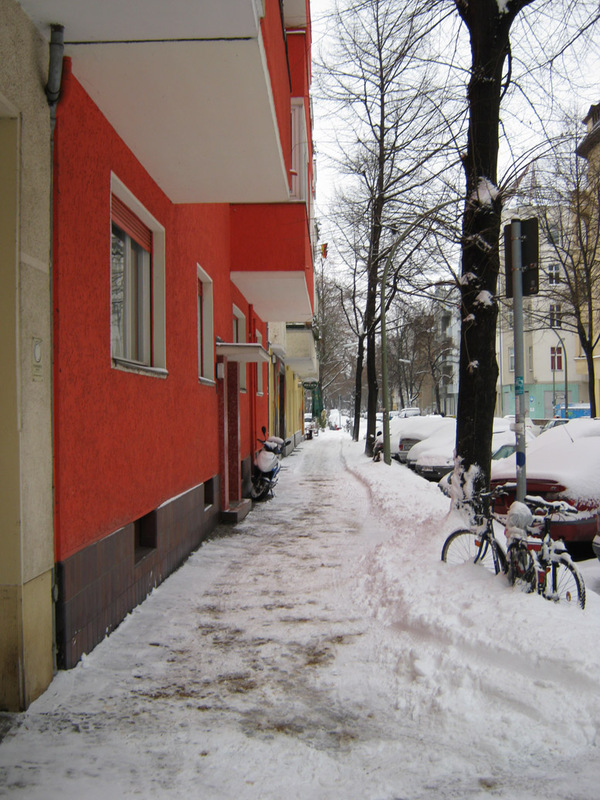 This winter in Berlin it has been snowing since exceptionally early, in exceptionally bountiful quantity, and with exceptional consistency. The snow-plowing and road clearance services have been doing a great job keeping the main traffic streets continuously clear. 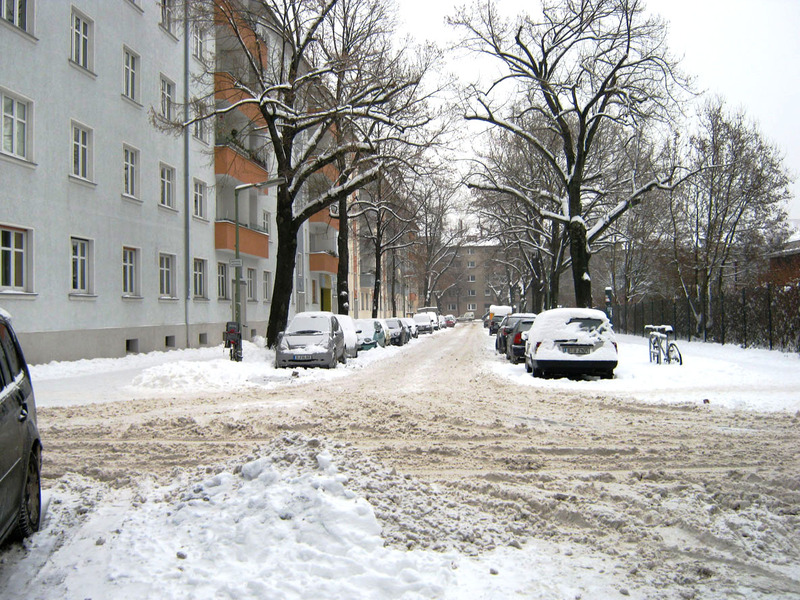 But in the smaller streets it was a losing battle, with snow coming in faster than it could be removed. 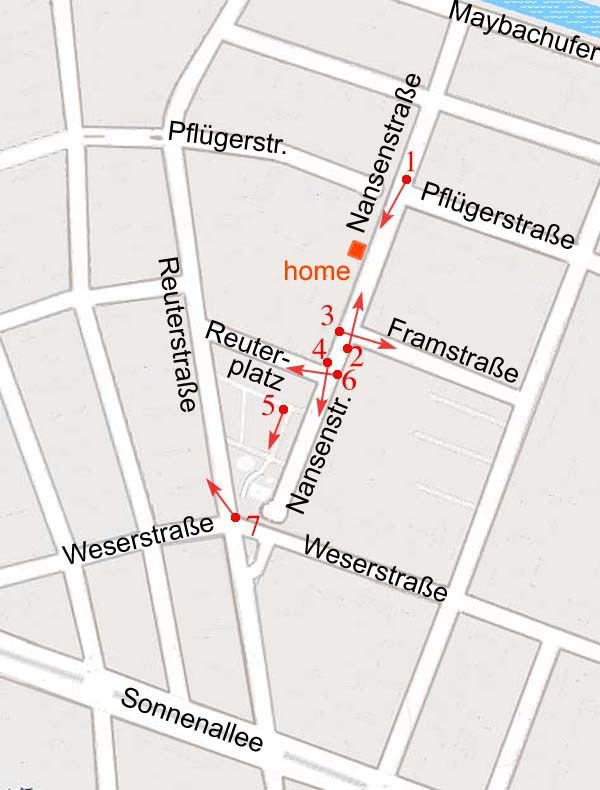 To have a record of this experience, and give you an idea of the situation, here are some photos I made these days in the neighborhood where I live, the area around Reuterplatz in North Neukölln. 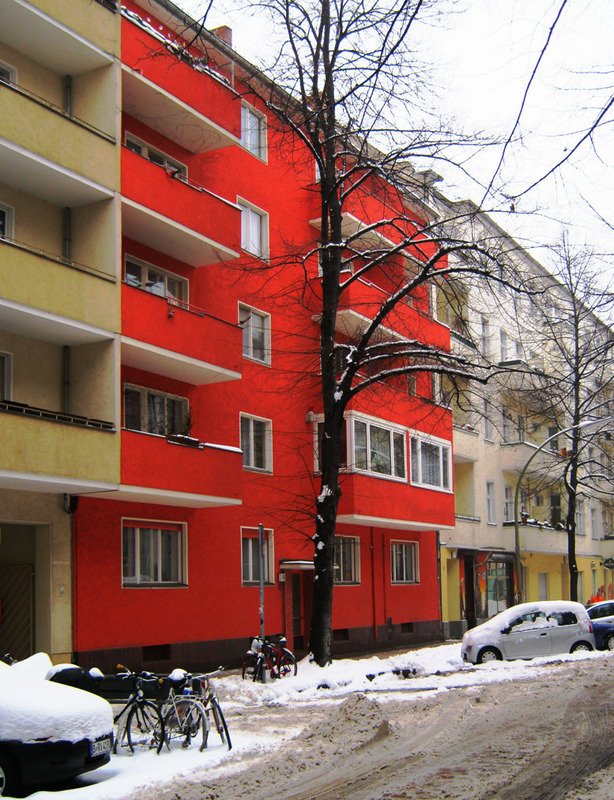 You will recognize the apartment building in the Nansenstraße where I live by its unique vermillion color (see on the right right). To get an idea of the slip quality of the snowed road, see kid on sleigh being pulled by Mom (picture 1, below). 1. 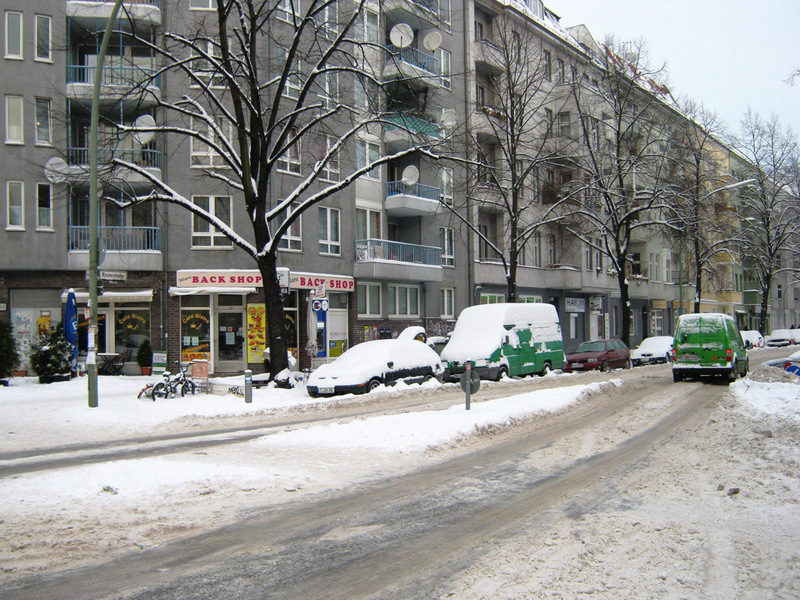 Southward view of Nansenstraße from the crossing with Pflügerstraße. 2. Northward view of the same from the T-crossing with Framstraße. 3. Eastward view of Framstraße from the T-crossing with Nansenstraße. 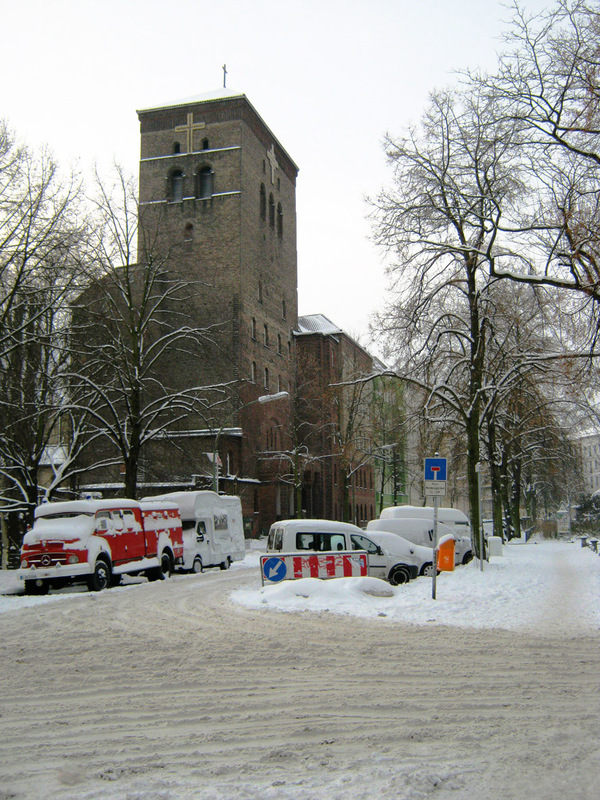 showing the St. Christophorus Church (Nansenstr. 47). 5. 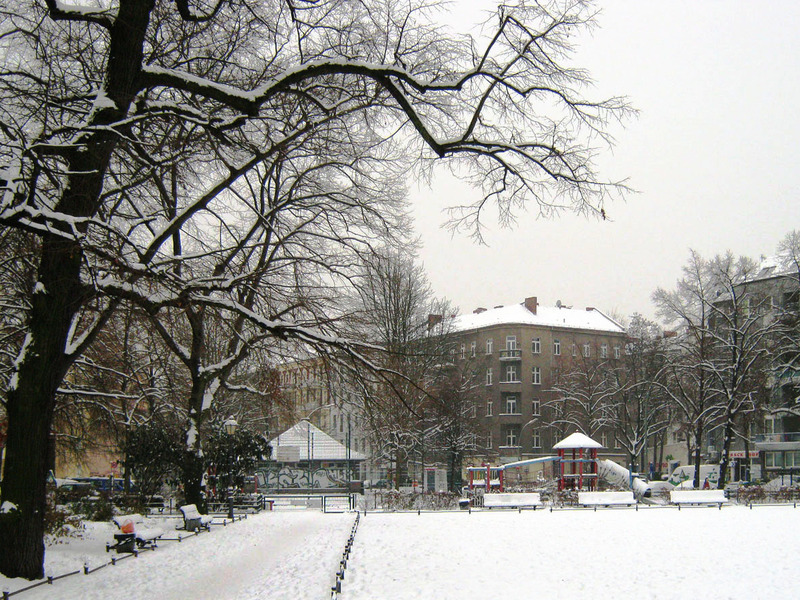 Southward view of Reuterplatz showing childrens playground. 6. Westward view along the north side of Reuterplatz from the Nansenstraße. 7. 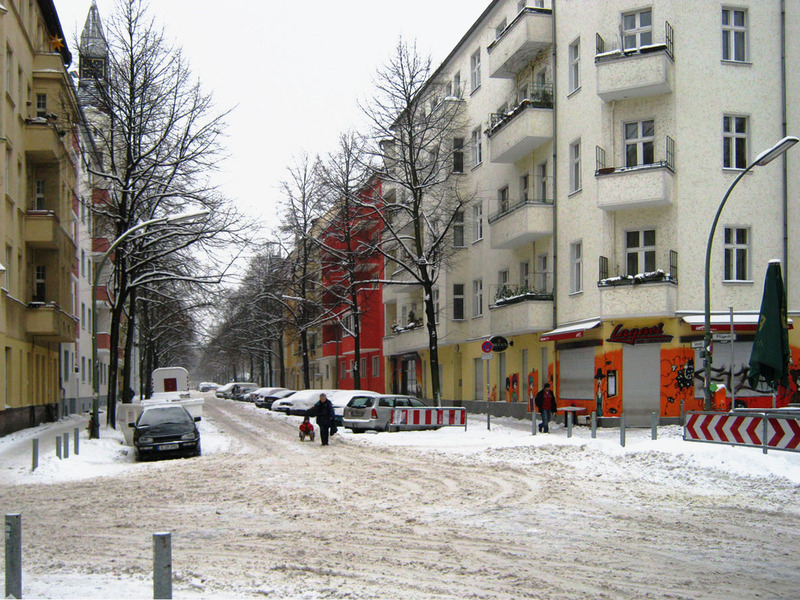 Northward view of Reuterstraße from the crossing with Weserstraße. 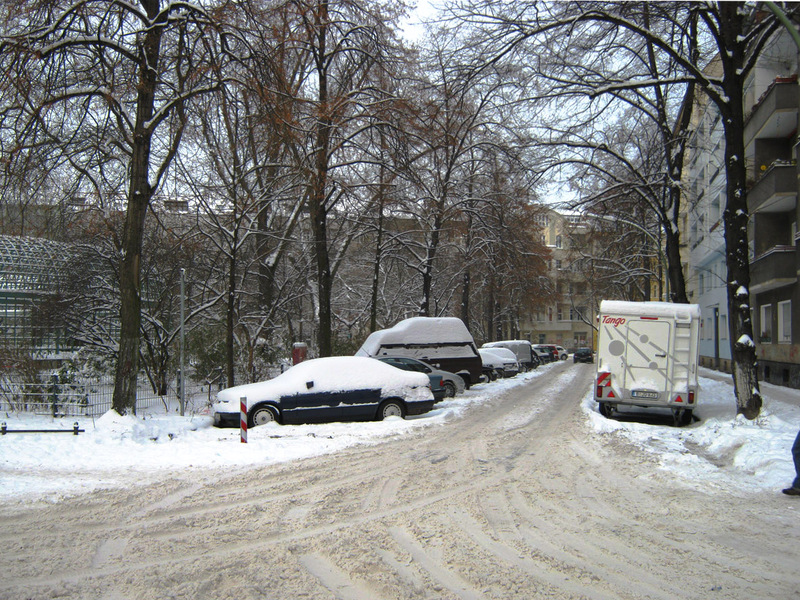 On Christmas eve it had snowed again, and when I looked out on Christmas, the view of my street was as on the panoramic photograph below. Only the sidewalks were clear (see on the right). We are lucky to have a very diligent housemaster who has been keeping the sidewalk before the building in an exemplary snow- and ice-free condition since the early morning of the first day it snowed this year. 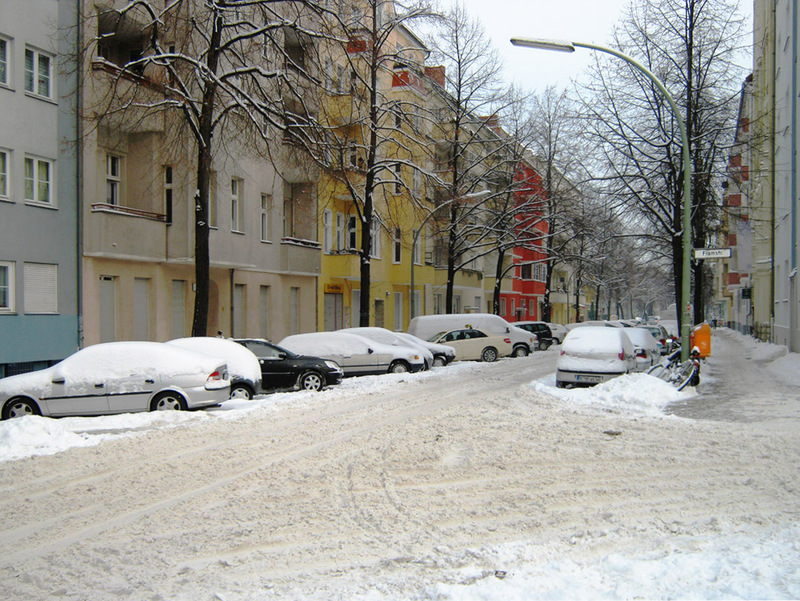 According to the metereological buro, this year Berlin had the largest amount of snow in a December month since the last 110 years.